A link to reset your password has been e-mailed to . Please check for an e-mail with the subject "Password Assistance from Entertainment Earth". If you do not receive this e-mail, make sure to check your junk e-mail box, or spam filter settings. Please enter the e-mail address connected to your Entertainment Earth account in the field below. We will send you an e-mail with a link to reset your password. Subscribe - Newsletters, Personalized Offers and More! If You're into Fun, Shop Funko Pop! 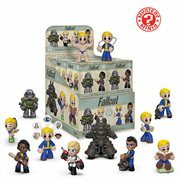 Vinyl Toys and More! that will be a big hit with anyone lucky enough to receive it... especially if that anyone is you. So, grab your mouse and the arm of your chair, and get ready for barrels of fun and excitement as you shop these thousands of cool Funko toys and accessories featuring iconic characters and more from the most prestigious properties on the planet! Expand your Funko Pop! collection! This fine company really puts the fun into gift buying, giving, and receiving! Whatever the occasion that drives you, you'll find something from the Funko shop at Entertainment Earth that will be a big hit with anyone lucky enough to receive it... especially if that anyone is you. So, grab your mouse and the arm of your chair, and get ready for barrels of fun and excitement as you shop these thousands of cool Funko toys and accessories featuring iconic characters and more from the most prestigious properties on the planet! 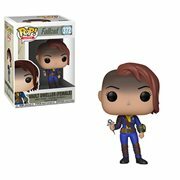 Expand your Funko Pop! collection! My Hero Academia Deku Full Cowl GitD Pop! Vinyl - EE Excl. DuckTales Scrooge McDuck Red Coat Pop! Vinyl - EE Excl. Receive an email if items are newly added to the website or come in stock. Create customized searches and save them for future use. Run your Saved Searches from the search bar and be notified daily about new items that match your criteria. Create customized searches and save them for future use. Run your Saved Searches from Your Account area and be notified daily about new items that match your criteria. Where Does All This Marvelous Stuff Come From? This wonderful organization was originally conceived by Mike Becker and founded by Frank Malone as a bobbleheads company in 1998 and sold in 2005 to its CEO, Brian Mariotti, who significantly expanded the firm's licensed lines. In addition to selling millions of its Wacky Wobblers, Funko has delighted the world with a broad range of playable and collectible merchandise that includes such diverse products as plush based on TV series like Rick and Morty, Pop! 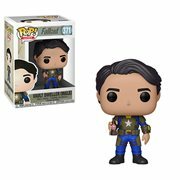 Vinyl mini-figures from Stranger Things, vehicles, mugs, water bottles, key chains, lanyards, USB drives, lamps, and headphones inspired by a vast number of films, video games, and more. As super-popular as those adorable mini-vinyls are, there are plenty of other terrific figures that will vie for your attention. Look for action figures, Pint Size Heroes, Rock Candy, Mopeez, Dorbz, Vinyl Idolz, Vinyl Vixens, Super Deluxe vinyl, and retro ReAction figures from more movies, television series, etc. than you can easily count. 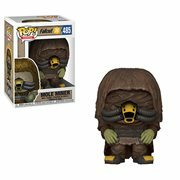 And if video games like Overwatch are your thing, Funko has you covered there, too! Get 'Em While They're Hot! 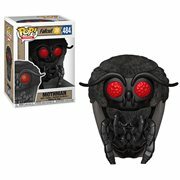 With products from themes like Star Wars, Batman, Five Nights at Freddy's, Harry Potter, Rick and Morty, Avengers, Game of Thrones, Guardians of the Galaxy, Marvel, DC Comics, football, and so many others, these collectibles and playthings from Funko are much in demand. 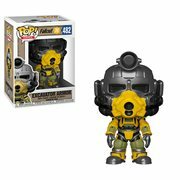 Therefore, it's wise to pre-order those items you must have for your Pop! collection (or whatever) as soon as you see them on the Entertainment Earth website. We don't want you to miss out! WARNING: CHOKING HAZARD-Small parts. Not for children under 3 years. WARNING: CHOKING HAZARD-This toy is a small ball. Not for children under 3 years. WARNING: CHOKING HAZARD-Toy contains a small ball. Not for children under 3 years. WARNING: CHOKING HAZARD-This toy is a marble. Not for children under 3 years. WARNING: CHOKING HAZARD-Toy contains a marble. Not for children under 3 years. WARNING: CHOKING HAZARD-Children under 8 years can choke or suffocate on uninflated or broken balloons. Adult supervision required. Keep uninflated balloons from children. Discard broken balloons at once. Entertainment Earth, Inc. markets and sells products in California. Some items may expose you to chemicals known to the State of California to cause cancer, birth defects, or other reproductive harm. WARNING: PROP 65 WARNING-Cancer and Reproductive Harm - www.P65Warnings.ca.gov. "I love the selection of bobbleheads and Star Wars merchandise that you guys have..."
"I love the selection of bobbleheads and Star Wars merchandise that you guys..."
Simi Valley, CA 93065 U.S.A. The Email field is not a valid e-mail address. Receive a perfect item with the best packaging possible - at no extra charge. Experience our groundbreaking Mint Condition Guarantee™ - for Collectors Only. If you find a lower price on this item elsewhere, just contact us. We'll give you 110% of the difference with our Low Price Guarantee. Shop with us and enjoy Hassle Free 90-Day Returns. Shop Risk Free with us. We will not charge your credit card until items come in stock. Product specifications, prices, ship dates, and availability are subject to change without notice. Copyright 1996-2019 Entertainment Earth, Inc. All Rights Reserved. Need Help? Ask an Expert!